This is a great example of how even “country kids” – all of these kids come from communities surrounded by farmland and agriculture – enjoy and appreciate hands-on experiences and learning about gardening and the natural environment. About 70 classmates participated Thursday in the Washington State University Skagit County Extension Master Gardener’s “Discovery In Gardening — Is Terrific” (DIG-IT) youth education program. “It introduces kids to how the garden works, from the growth of the plants to how it arrives in your kitchen and what to do with the scraps,” said Master Gardener Chuck Howell. The program was started in 2002 by two teachers, Master Gardener Gail Messett said. The format of the program has changed over the years, Messett said, but the goal has remained the same: Get kids outside and into the garden. more via Kids learn about gardening, bugs and flowers at WSU Extension | All Access | goskagit.com. Play IS a form of learning and experimentation, so it’s nice to see a school try to incorporate this very basic, very elemental learning process into the heart of their education system. How can we make school a joyful experience without sacrificing rigor? What’s the best way to measure true learning? What’s the purpose of school? The founders and teachers at the PlayMaker School (watch the PBS Newshour report by April Brown), an all-game based school in Los Angeles, are asking those big, abstract questions that all teachers grapple with. And they’re trying to find their own answers through their constantly morphing, complex experiment. Here are their thoughts about these issues, in their own words, from extended answers to the PBS NewsHour report. How can teachers, parents, and administrators these ideologies to existing public schools? Read the interview with the school’s founder Tedd Wakeman at A School That Ditches All the Rules, But Not the Rigor | MindShift. In the stuffy, little gymnasium at Richard Kluge Elementary in Milwaukee, 16 boys and girls are stretching, jumping and marching to music. Two years ago, the school had no gym, art or music classes due to budget cuts. But now, Kluge students get a so-called “special” class three days a week. Milwaukee Public Schools is one of several school systems across the country — including Los Angeles, San Diego and Nashville, Tenn. — that are re-investing in subjects like art and physical education. The Milwaukee school district is hiring new specialty teachers with the hope of attracting more families and boosting academic achievement.Music teacher Angie Dvorak is one of the teachers that’s been effected. Last year, Dvorak was part time and traveled between schools. This year, she’s stays at Kluge all day, teaching music upstairs from the school’s gymnasium. more via To Boost Attendance, Milwaukee Schools Revive Art, Music And Gym : NPR Ed : NPR. This is a nice study that looks at the value for kids, but unstructured creative and/or play time is important for adults AND kids. There has been plenty of hand-wringing in recent years about the “overscheduled child.” With after-school hours increasingly dominated by piano lessons, soccer practice, and countless other planned activities, many of us have a nagging sense that kids are missing out on something important if they have no time for unstructured play.New research from Germany suggests these fears are justified. It finds people who recall having plenty of free time during childhood enjoy high levels of social success as adults. A team of three psychologists from the University of Hildesheim, led by Werner Greve, conducted a survey of 134 people. Participants were presented with a list of seven statements and reported the degree to which they conformed with their own childhood experiences that is, ages three to 10.
read the rest of the article via The Value of Unstructured Play Time for Kids – Pacific Standard: The Science of Society. Nice to see toys being introduced that work with already existing toys (sticks! ), and encourages kids to go find their own sticks and go play in nature. As an inductee to the National Toy Hall of Fame, the stick doesn’t need much improving as a classic toy. For as long as there have been children and sticks, sticks have served as a versatile toy in outdoor play. But connecting sticks takes a bit of ingenuity. Enter Christina Kazakia, a design student with a mission. As she explains, “I designed these flexible silicone connectors as part of my graduate thesis in Industrial Design at the Rhode Island School of Design. 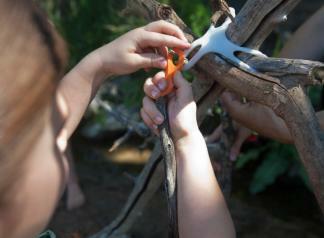 My goal was to create prompts to engage children with their surrounding natural environment.” Called Stick-lets™, these connectors help small children build big structures like forts, teepees, lean-tos, or other creations. Find out more about the toy and her kickstarter via Can This Industrial Designer Get Children Back Outside? | Natural Start. We’re too late to join Elisabeth Stone on her group session she had back in February, but I still loved this idea of making a 21 day challenge to get outside! more via Grab a copy of 21 Days in the Woods and join us for a group session on February 1st. | Elisabeth M. Stone. April has just started, and it’s starting to feel more and more like Spring, so take a look and see about how you can challenge yourself to get out into the woods. Now that we’re officially into fall, with the weather getting colder and wetter by the day, and all back to school or indoors,it’s important to remind ourselves of opportunities to get out and play. Idea is Free Museum and Park Day tomorrow; September 28: over 1500 museums, and national and state parks, are opening up their doors to the public for free! The Curious About Art program is just one of many preschool arts education programs the South Suburban Parks and Recreation District offers throughout the year. It’s not so much about the final product the kids create, but the journey and experiencing sensory exploration with their parents. “It will probably look like something you expect an 18-month-old to make, something unrecognizable but still pretty wonderful,” said Vickie Willis, culture and enrichment supervisor for South Suburban. Aside from encouraging play, the purpose of the classes is to prepare kids for a school environment by getting them socialized to being around other children, as well as developing motor skills. 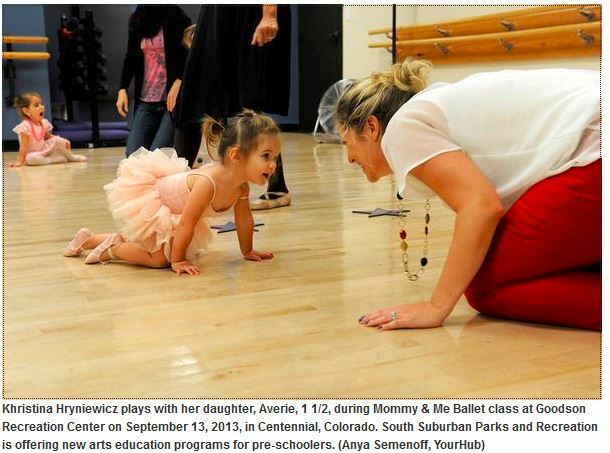 more via Arts education programs in Centennial open possibilities – The Denver Post. Mini BREAKS is the original hip-hop dance class (breakin’ or “break dance”) for toddlers and preschoolers. In this unique class, young students will have fun while they exercise, express themselves, think creatively, build self-esteem, practice respect, learn discipline and make new friends! Outside of a dance studio, hip-hop culture (including breakin’) is not taught through choreography or 8-counts but more intuitively through interactive demonstration. Mini BREAKS focuses on encouraging young children to be creative and courageous – to come up with their own ideas and be able to express themselves by sharing those ideas with others. All children are artists – Mini BREAKS helps them remain artists as they grow up! So remember to play and wiggle even as the weather gets cold and dark. 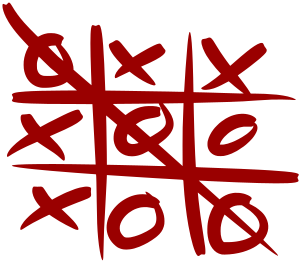 Games Without Frontiers: Games, simulations, and the new school year. Ask any student the following question; would you prefer to start the year with a lecture or playing a game? I’d wager the that nearly all learners would choose to spend their time with the game. As a younger student, I recall only being able to play in class once all of the curriculum was “done”, usually at the end of the school year. Of course, we know that learners of all stripes acquire, apply, synthesize, and communicate knowledge through participation in games and simulations. As a result, there’s a strong case to be made to embed complex critical thinking simulations and games right from the outset of the school year. To say that I’m completely nerded out by all of this is an understatement; I can’t (hardly) wait for school to start on the 26th! via Games Without Frontiers: Games, simulations, and the new school year. I’m looking forward to seeing how the year unfolds for this class! If the teacher is excited, that’s definitely a good sign.